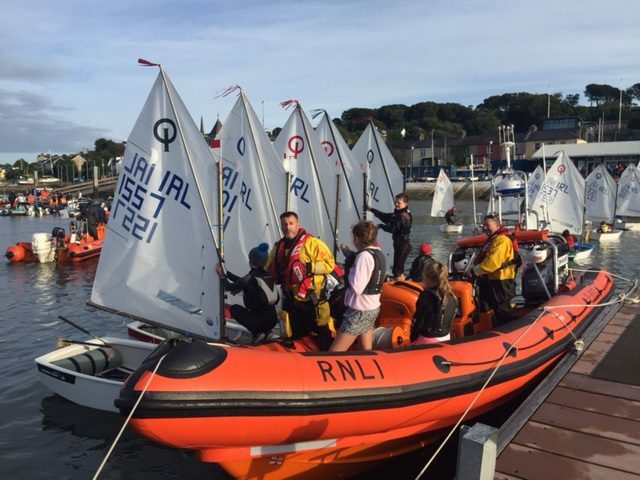 On September 11th and 12th our club was host to 150 registered sailors across three fleets in the IODAI Munster Championships – in the main fleet there was 35 senior and 61 junior sailors and in regatta fleet we had 54 sailors all of whom are catered for by a whole host of parents and club members who all did their bit to make it a very worthwhile weekend. People started arriving on Friday evening where they registered, with more arriving early the following morning. 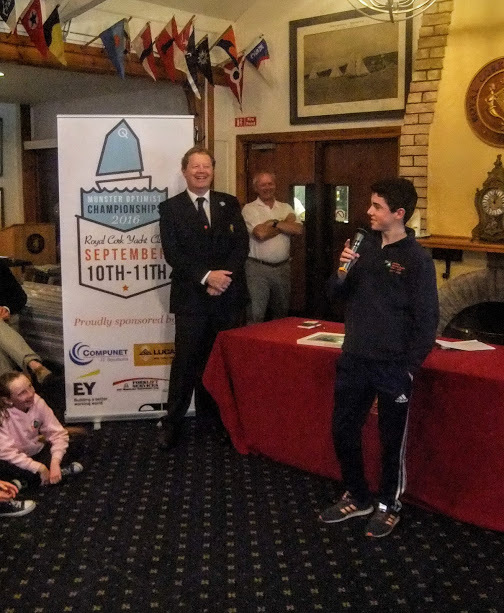 Principal Race Officer for the Main fleet Tom Crosbie gave a very simple briefing and the fleet took off for Cuskinny where they got a race in under the belts quickly. Unfortunately, a very shifty wind pattern developed followed by rain and no breeze and eventually at 15.30 the fleet opted to up anchor and take the optimists in tow to the bank where they had two more races in good conditions. 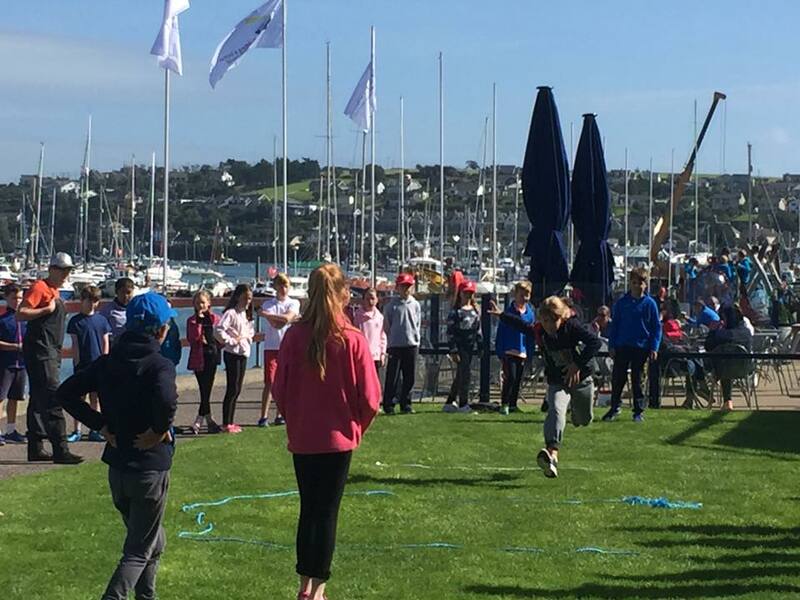 While all of that was going on the Regatta Fleet under the able stewardship of Darren O’Keeffe got three races in (in lovely sunny weather) on the bank where the sailors were coached by a combination of IODAI coaches and our older sailors and all had a very enjoyable time. As the main fleet came in they were greeted with the new Crosshaven lifeboat which was being christened the same weekend at the Hugh Coveney pier. 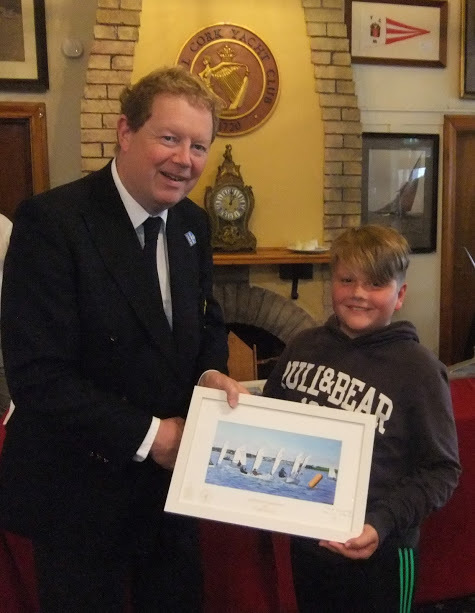 There was a very enjoyable reception for the parents of our sailors hosted by the club in aid of the RNLI. The following day the Silver Fleet sailors were stood down because of the high wind strength in the harbour. Likewise, the regatta fleet stayed put and instead had fun and games ashore. 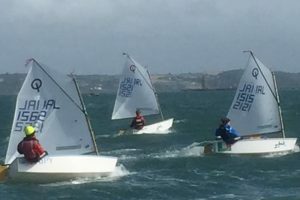 The combined 44 Gold sailors (both Senior and Junior) got going and then sailed three races and returned by lunchtime on Sunday, thus all in all the Gold sailors got a full complement of six races in with the silver sailors getting three races in, the latter constituting a series. 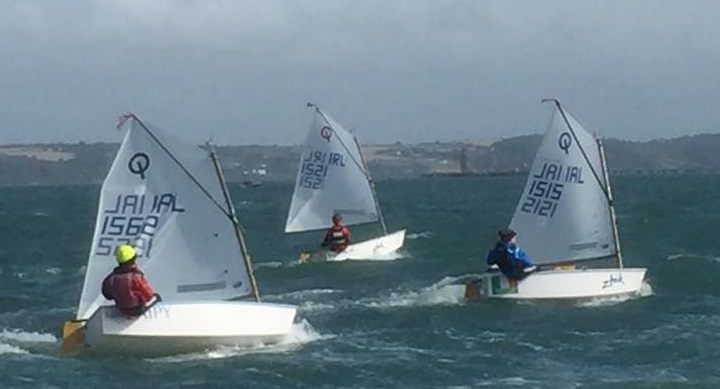 Our sailors, given the conditions, sailed very well with Rory O’Sullivan finishing third and Edu Ojed in fourth in Senior Gold and Jonathan O Shaughnessy had a fifth in Junior Gold. Kate Horgan did very well winning Senior Silver. 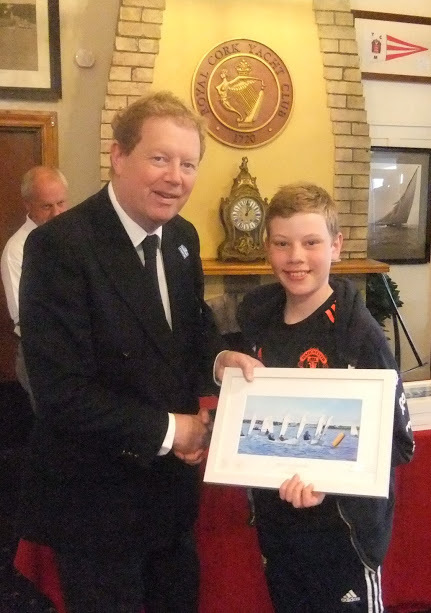 Stephen O Shaughnessy did excellently with 2nd place in Junior Silver. 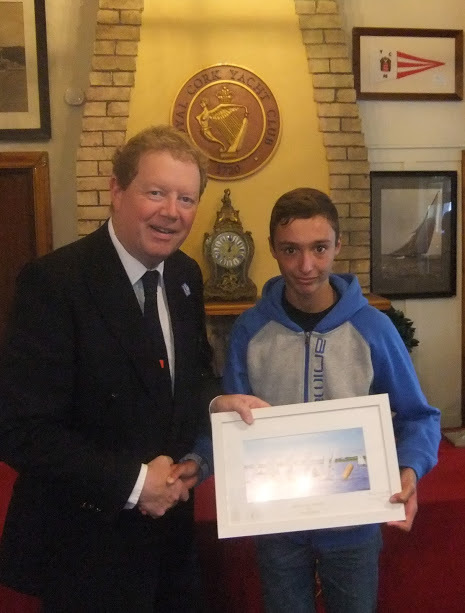 Eoin Horgan and was the deservered recipient of the Fair Sailing award for helping another distressed sailor and all of our sailors did really well considering the very testing and varied conditions. 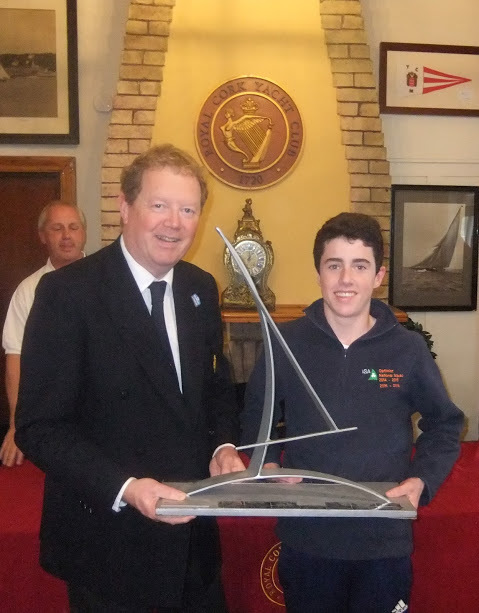 In Senior Gold Harry Pritchard, Diego Peletiero, Harry Twomey, Killian O Regan and Cillian Foster all did well. 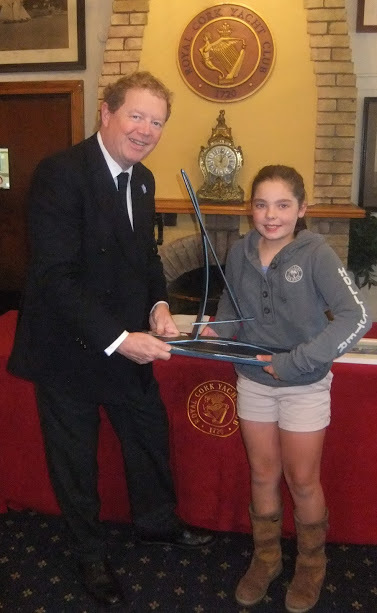 While in Junior Gold we had Justin Lucas, Simon Pritchard, Jamie Vener, James Dwyer Matthews, Patrick Bruen, Richard McSweeney, Stephen Cunnane, Lucy Bateman, Archie Daly, Ciara Burns, Alana Twomey, Anna Carroll, Eva Spillane, Ben O Shaughnessy, Emmet Lucas, Julie Higgins and Darragh Collins all competed well especially for quite a number for whom this Munsters was their first regional event. 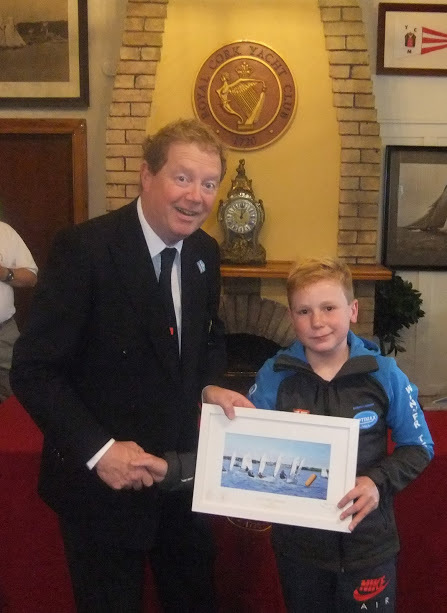 In Regatta fleet a bumper crop of 53 boats had our new member Ryan Nolan finish an excellent fifth with Sam Coveney in seventh, Thibault Dargnies (another new member) in twelfth. We also had Rian Collins, Cian McDonagh, John C Neville, Emma Higgins, Margot Dargnies, Andrew O Neill, David MCSweeney, George Pritchard, James Murphy, Andrew O Leary, Mia Coakley, Craig O Neill, Ellen Bruen, Daniel Burns, Charlie Venner, Harry Moynan, Henry O Riordan, James Coakley, Julie O Neill, Maeve Crosbie, Daniel Horgan, JP Curtin and Rory How. 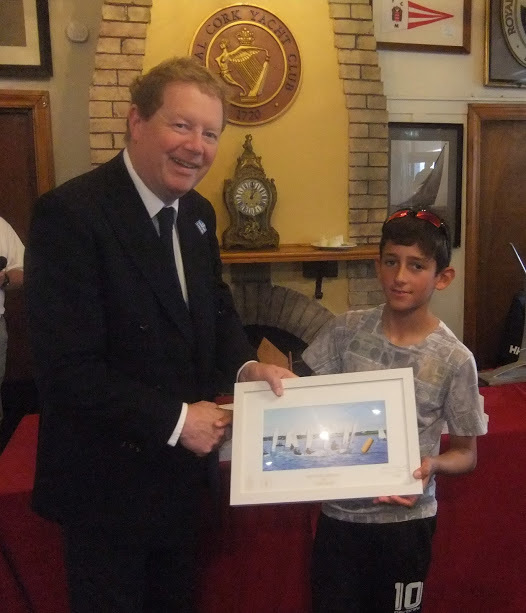 The strong numbers really show our strength coming through especially considering how young some of our sailors are –for many this was their first time to race at a regional event – so well done to all. A special mention must be made to the Real Club Náutico Torrevieja team from Southern Spain made up of Antonio Lopez (2nd junior Gold) Adriana Castro (9th Junior Gold and prize age 10!) Angel Baeza fifth Senior Gold and Alberto Anton (19th Senior Silver) who travelled to us along with their coach Sergio especially for our event. They were looked after by the families of our local sailors so a big thank you to all and we hope to visit there in the new year. They were a bit quicker than me with the write up so you can see what they thought here for a translated copy of their report and the original report and pictures on the Real Club Náutico Torrevieja website here. 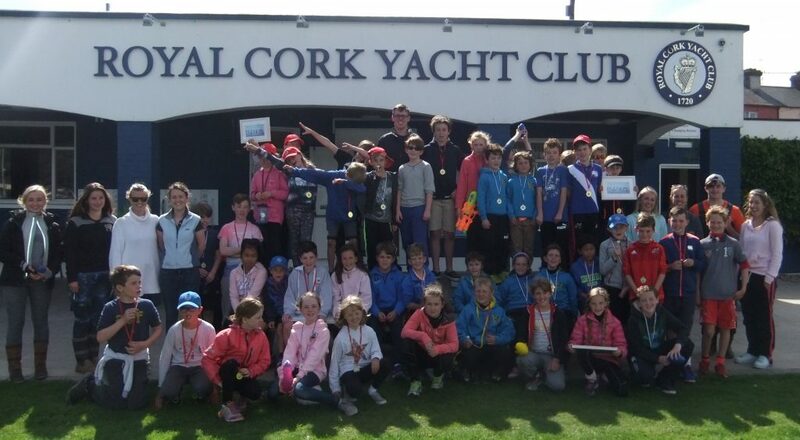 The Royal Cork outdid itself yet again in hosting a large amount of visiting sailors and their parents and our thanks on behalf of the organising committee must go to the race officers, to those members who put their own boats forward be they yachts, motorboats or ribs. 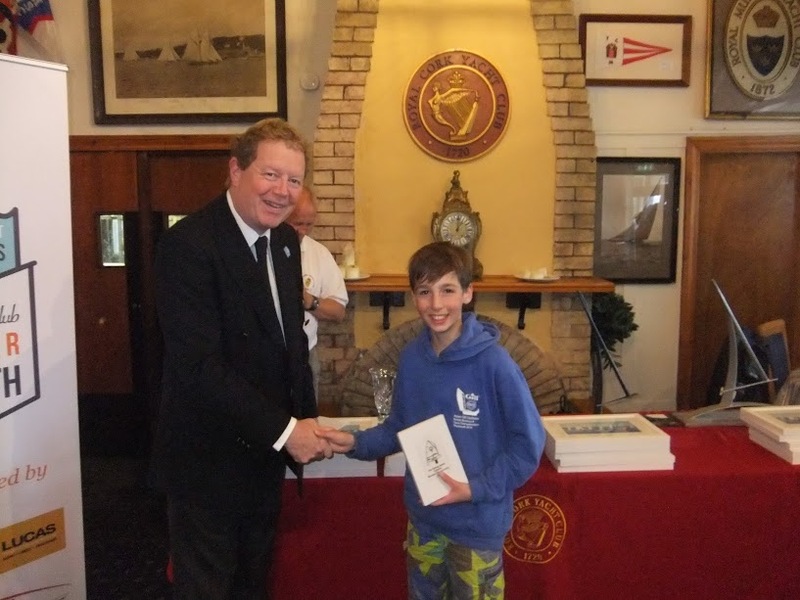 Thanks too to the people who staffed the registration area and event centre, the dinghy parks also to and those who provided lunches and fed the sailors. The list goes on and on my thanks to every single one of them. and my thanks also to Gavin, Mark, Anne the two Daves and all the professional club staff who did everything to ensure that is it was such an enjoyable event. For now it is back to preparing for the remainder of our League Racing season, including the Cobbler League which starts in October.